The al-Qaida-linked Abdallah Azzam Brigades issued a statement published on Saturday apologising for civilian deaths. A militant group has issued an unusual apology for a twin suicide bombing in Beirut that killed four people and wounded dozens, including children from a nearby orphanage. The al-Qaida-linked Abdallah Azzam Brigades issued a statement published Saturday apologising for civilian deaths. It said a “technical fault” affected the second of two Feb. 19 suicide bombings targeting an Iranian cultural center in Beirut. The group said the bombs were meant to be detonated in a way that their shrapnel wouldn’t reach a main road nearby, but didn’t specify the technical fault. The Brigades said their target was the Iranian-backed Lebanese Shiite group Hezbollah and Iranian interests in Lebanon, not Shiites in general. 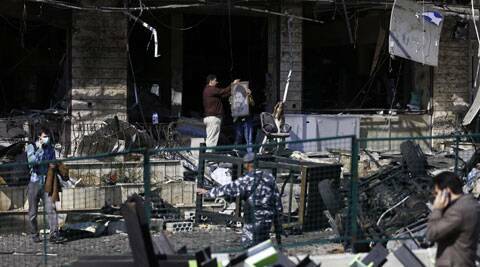 The group has claimed responsibility for a series of bombings in Lebanon.